1) Put aquariums filled with sardines off to the sides to keep them interested in staying within camera range. 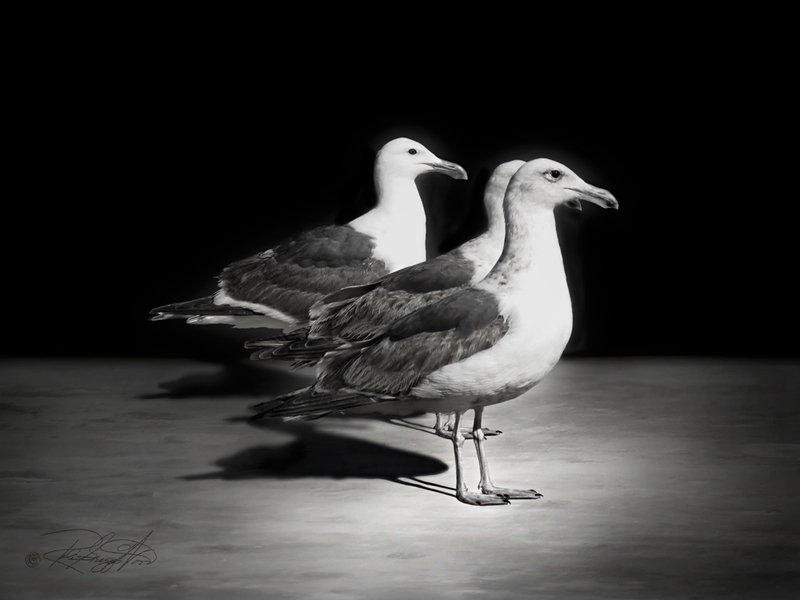 2) Understand that seagulls have huge egos and will try to hog center stage if not kept under control. 3) You cannot keep a seagull under control. 4) Keep at least two cases of disinfectant wipes at the ready per shoot — these will be for cleaning the studio walls, your camera, your tripod, your shoes, the lights and the lightstands. 5) Plan on throwing your canvas backdrop away.